We love her for her Parisian effortlessly chic clothes. And now we love the A-list designer Isabel Marant even more as she is about to brighten up our faces with a colourful new trend that’s worth stealing from the runway. 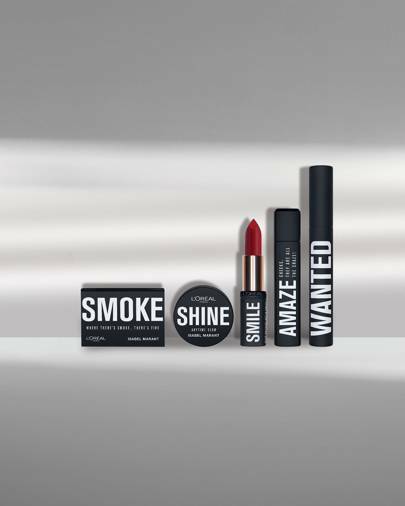 The fashion designer has created a limited edition make-up line with L’Oréal Paris x. The must-have maquillage includes five products for eyes, cheeks and lips from very au naturel hues to a bold smoky eye, this collection covers all bases ready-to-wear anytime, anywhere.